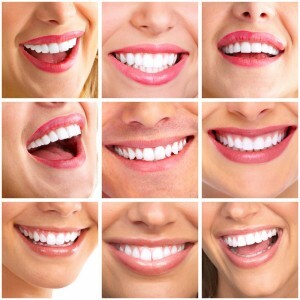 Others know how you feel about your smile based on how readily you share it. Do you smile openly and as often as you can, or do you hide your teeth when you talk and laugh? If you’re hampered by poor feelings of self-confidence, make 2014 the year you change that with a cosmetic dentistry makeover at Randolph Dental Care. Dr. Glen Goldstein offers porcelain veneers, cosmetic bonding, teeth whitening, and wrinkle therapies like Botox and Juvéderm to help you improve your sense of wellbeing and confidence. With these services, we can transform teeth that are stained, cracked, chipped, and misaligned, and we can ease the appearance of wrinkles around the eyes, brow, nose, and mouth. Porcelain veneers are designed to hide common flaws that keep patients from smiling with confidence. They’re made of durable pieces of dental porcelain and are attached directly to the front of teeth. A dramatic smile transformation can be completed in just two visits. Cosmetic bonding is a similar service that can be used for smaller fixes. Instead of using porcelain, though, this easy and affordable service uses a small amount of composite resin—the same material used for tooth-colored fillings—and only takes one appointment t ocomplete. For patients who struggle primarily with staining, Dr. Goldstein offers two great teeth whitening options. Zoom! Whitening is among the most common whitening systems offered by cosmetic dentists, while Deep Bleaching™ can tackle some of the most difficult cases of staining out there. And finally, for patients who feel self-conscious because of wrinkles, Dr. Goldstein has two effective solutions. With Botox and Juvéderm, patients can ease the appearance of wrinkles around the eyes, brow, nose, and mouth in just one quick appointment. Do you want a cosmetic dental makeover in 2014? Call Randolph Dental Care today for an appointment with Dr. Goldstein. He will talk to you about your options and help you get set up with a great treatment plan. We serve patients from Randolph, Morristown, Denville, Rockaway, Chester, Mendham, and beyond.